There’s no going on a hiking or camping trip without a reliable flashlight in your backpack. It’s simply mandatory to put one on any list while getting prepared for your next adventure. 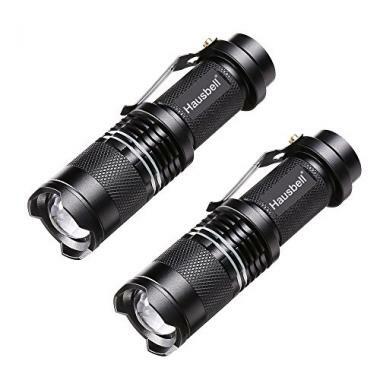 But a regular flashlight won’t do; you need one which is better equipped for the exact type of outdoor adventure you’re embarking on. There are a ton of situations for which you need a source of light, whether for getting yourself out of a tight spot, for playing camping games in your tent or for tinkering with the camp set-up. 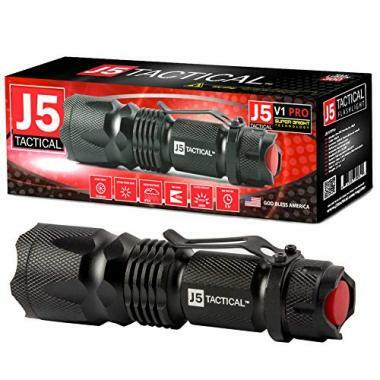 If you need to keep the flashlight in your car, then you need to look into some of the best tactical flashlights. But if you’re going on a water sports adventure, then you absolutely need your flashlight to be waterproof. You wouldn’t want a few drops to ruin it. We’ve presented the best flashlights currently on the market before, but now we’re following up with this guide on the best waterproof flashlights to consider. 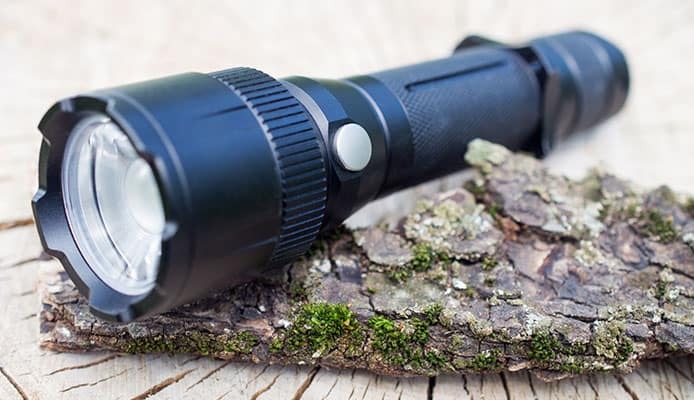 We’ll start with a list of the top 8 picks and why we think each of them deserves a spot here, and we’ll then get into the main things you need to look at when buying a flashlight. Here we go! This super-bright waterproof tactical flashlight will deliver top-performing results concentrated in a small tool which fits in your pocket easily. The smart design enables it to stand on its end as an emergency lamp, and the anti-slip finish will allow you to hold on to it even in the rain. The light pouring out from this Anker small waterproof flashlight is as bright as the one provided by much larger flashlights. You can count on the 900-lumen LEDs to illuminate as area up to 660 feet (or 200 meters). The light will reach as far as 1000 feet in front of you. The best thing about it? You can zoom the light in and out, and it can get as focused and narrow as a single beam, should you wish for it. In fact, there are actually 5 different light settings to switch back and forth through: High, Medium, Low, Strobe and SOS (for powerful flash signals). According to the producer (and confirmed by the other waterproof flashlight reviews you can find), there’s also a surprisingly long battery life in this Anker. You’ll get a full 6 hours of non-diminishing brightness and even a longer battery use if you don’t blast the LEDs to their full capacity. This LED waterproof flashlight will then charge itself back up in just 6 hours via a 1A adapter. There’s a lifespan on 50,000 hours for the LED lights in the flashlight, so you will use yours for many memorable adventures to come. 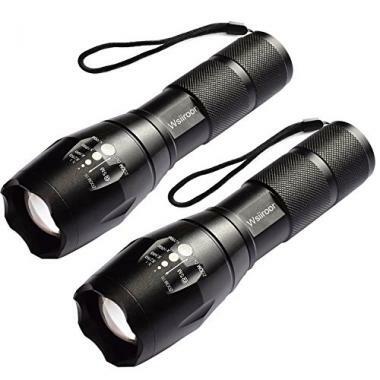 The flashlight is rated IP65 for its water resistance, and it is overall very tough and sturdy. You can use it under heavy rain and it won’t get damaged at all. The aluminum body is certified to be shock resistant so even rough handling or dropping it will not crack it. It’s the best water resistant flashlight to all those keen on exploring the wild come hell or high water. An ingenious waterproof tactical flashlight that comes in pairs; what more can a backpacker ask for? 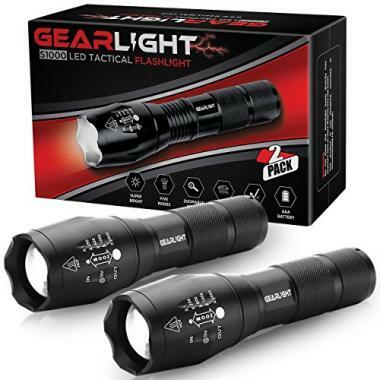 This top-rated piece of gear is great as an everyday flashlight to keep in your car or garage, and doubles up as a camping and outdoors flashlight in a nick. With just a flick of a switch, it can light up an entire room or the path ahead of you even at 1,000 feet away. It’s ten times brighter than a regular incandescent lightbulb, and conveniently handheld so you can point it wherever you want. This streamlight waterproof flashlight comes with a laser cut precision which allows you to flip through 5 different lighting modes, in accordance to what you need to look at. You can use it in a variety of situations where a small waterproof flashlight might be warranted. 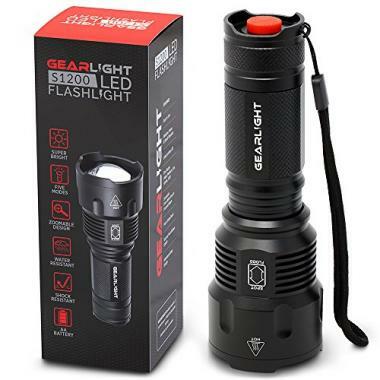 During a camping trip, while going for a dog walk, while hiking, for use around the house, for repair work and so on: there’s nothing to hard to illuminate for this compact tool. 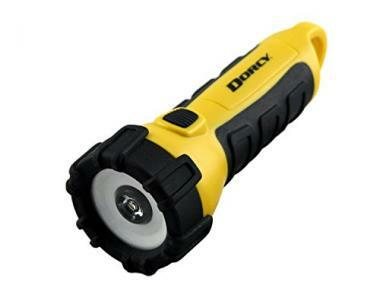 The flashlight will fit in your pocket or purse and it’s virtually indestructible by rough handling or bad weather. Not only is it one of the best waterproof flashlights on the market, but it can even survive being submerged underwater for some time. If you happen to drop it from a high point onto a hard surface it’s again no problem! The sturdy military grade tool can be dropped from as high as 10 feet without suffering damage. The package also includes a holster for safe storing and carrying. 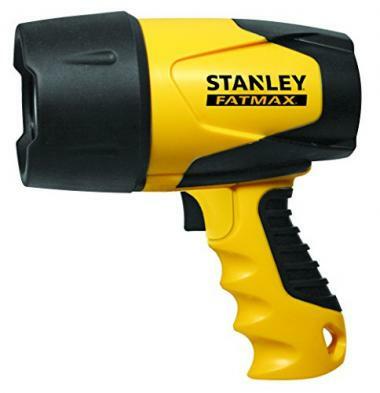 A mini tool which will prove just as powerful as the best waterproof flashlight you might want. It is small enough to fit anywhere, including a tight jeans pocket. It comes with 3 modes (high, low and strobe) so you can use it in a variety of situations. This top rated water resistant flashlight is guaranteed to have a long life and to be virtually indestructible. Fun fact: according to some other waterproof flashlight reviews, it won’t get damaged even if you put it in a freezer and run it over with a truck afterwards! It’s bright (300 lumen), small, very sturdy and easy to grip, just like any good tactical tool should be. If you’re a serious outdoors adventurer with packing space to spare and just interested in top range features, this is the best waterproof flashlight for you. It’s mid-sized and super bright, with a long battery life and plenty of desirable features. The GearLight waterproof torch comes with 5 modes, including a strobe function and an emergency function (SOS). With only 3 batteries it will last you through an entire camping trip, all the while being brighter than most other flashlights you have seen so far. It will survive a 10-foot drop and it can also be submerged into water temporarily. It’s durable in all circumstances and all-weather conditions. A small waterproof flashlight which is ideal for most casual campers, this Hausbell comes with 3 modes and impressive brightness (300 lumen). It’s water resistant, easy to carry, sturdy and tough, and also very affordable. We think it’s the perfect option for an emergency kit or for keeping it around your car. It has a zoom features and only needs one AA battery to function. This is the best waterproof flashlight for those interested in brightness above all else. With a staggering 1600 lumen, there isn’t a darkness on this Earth that this amazing LED waterproof flashlight can’t cut through. If you plan on going to explore caves, for instance, this is the tactical tool you need in your backpack. Are you a watersports enthusiast? Then this is the best waterproof flashlight for you! Not only it is waterproof, but it also floats, so if you take a plunge you’ll be able to use it easily to find your way. It comes with a carabineer clip for an easy and secure attachment to your backpack or belt. The long battery life (8 hours) will give you plenty of time to use for exploration. Run free with this sturdy floating flashlight! If you’re looking for a jack of all trades feature-wise, this is the best waterproof flashlight for you. Very bright, very sturdy, with a long battery life, it comes in a bright yellow and black designed that makes it easy to notice. If you misplace it you can find it again fast, and it can also make you more visible for the rest of the group. It’s waterproof and even submersible, but it also floats. It’s a great companion to watersports and operates with a lithium battery that allows it to run for up to 10 hours before being recharged. Before you hop in your boat, take this floating flashlight along and you won’t regret it. IP67 (highest) means your flashlight can also resist immersion in water up to 1 meter. If you’re looking for a flashlight that will be able to function while or going through the rain, then a rating of IP65 or IP66 are enough. If you’re looking for one you can actually use underwater for photography, look for a rating IP67. If you’re kayaking or doing other watersports where your flashlight might be dropped in the water but you don’t need to use it beneath, then look for a floating flashlight. The best waterproof flashlight options are also much more resistant than your usual flashlight for home use. They are designed to withstand shock and being dropped from a great height, even onto a hard surface, such as a rock. 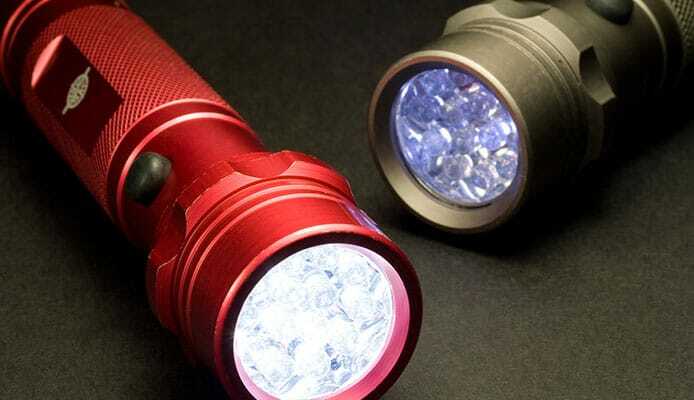 You can definitely use such a flashlight while hiking or rock climbing with no need to fear that you’ll damage it should it fall. The best water resistant flashlight models on the market come with clear guarantees and predictions about their expected average life. This refers both to how many hours the LED lights have in them (throughout all the recharging cycles, also), and to all of the other components of your lighting tool. As long as you respect the manufacturer’s recommendations, you don’t need to worry about the flashlight leaving you high and dry. Such good care recommendations will also include how to store away your flashlight when you’re not using it. Keeping it wrapped up in a soft fabric is a great place to start for most of the best waterproof flashlight models. Some even come with their own holsters for this purpose. A good waterproof tactical flashlight should come with emergency functions as well. This means it can emit very bright rapid signals that let the rescuers know where you are. If you have a model in your sights and you’re not sure if it provides such an emergency function, just ask. Most of them do, though, so you can rest assured that if you find yourself stranded, your flashlight can help you out of the tight spot. The strobe function is intended for self-defense, and it was first used by police flashlights. It is meant to confuse the person it is pointed to, and therefore deter your potential attacker long enough for you to escape. A waterproof tactical flashlight usually also includes a strobe function in its specs. Good flashlights come with a few different modes, so you can adapt it to the distance you plan to illuminate. As you reduce its distance, the beam gets narrower and more focused. Most of the best waterproof flashlight options come in a black casing, and some of them are silver or camo colored. The figure you see next to the lumens specification indicates how brightly the flashlight can shine. The higher that number, the brighter your new streamlight waterproof flashlight is. 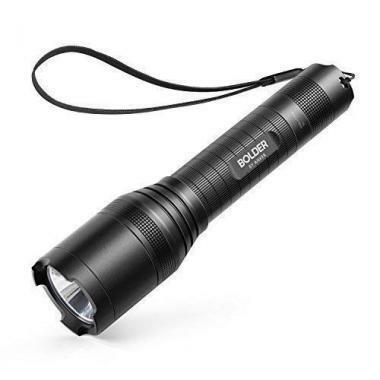 The zooming function is something each top rated water resistant flashlight is able to do. It means you can switch the light beam into a more focused one designed to illuminate a particular object better. Q: Can I Use A Waterproof Flashlight For Underwater Photography? A: If the waterproof rating on its label indicates that the flashlight is submersible for long periods of time and to a reasonable depth, then yes. Some of the best underwater shots get captured with the help of such a flashlight. Q: What Is The Difference Between A Regular And Waterproof Flashlight? A: This is a most obvious difference. No matter how highly performant the regular flashlight is, it will get damaged by water and will cease to work if it comes in contact with it. Sometimes it may even get damaged beyond repair, and often times a little rain is enough to break it. That’s why finding the best waterproof flashlight is essential before an outdoors trip. Q: Which ANSI Rating Would Be Considered Water Resistant And Which Is Waterproof? A: The ANSI ratings can be a little different from the IP ratings. The IPX4 rating would be water resistant, the IPX7 is waterproof and you can even submerge the flashlight temporarily, and the IPX8 is submersible for long periods of time (up to 4 hours). We hope our guide made it easier for you to choose a top rated water resistant flashlight. Whether you need a small one, also known as a pocket flashlight, or a bigger one that can fit in your car or motorcycle gear, our guide above has a little something for everyone. Fans of LED flashlights and those who favor EDC flashlights will be able to find a suitable waterproof model here as well. Just browse through, make sure you read the rest of the guide to understand what characteristics you should be aiming for. Keep in mind the type of trips you are most likely to go on with your new waterproof torch or flashlight. Then, picking the right choice from our list of the best waterproof flashlights should be easy. Now that you’ve found the perfect match for you, it will accompany you on many exciting trips to come. Happy camping! Camping Health and Safety Tips, CDC.gov. How a Flashlight Is Made, MadeHow.com. What kind of flashlight do you use on your travels? Do you keep a tactical one in your car or in your home at all times? Did you ever use a waterproof flashlight for watersports? What’s your favorite brand for the best waterproof flashlights? Do you have a funny camping story regarding a flashlight? Let us know your thoughts in the comment section below! We’re always happy to hear from our readers.